I heard about Stitch Fix on Kayla Aimee's blog back in October. I signed up in a heartbeat - it's a no-brainer! - and got accepted on November 27th. I didn't sign up for my first "fix" right away though. Wait, what is Stitch Fix you ask? Lemme tell you! 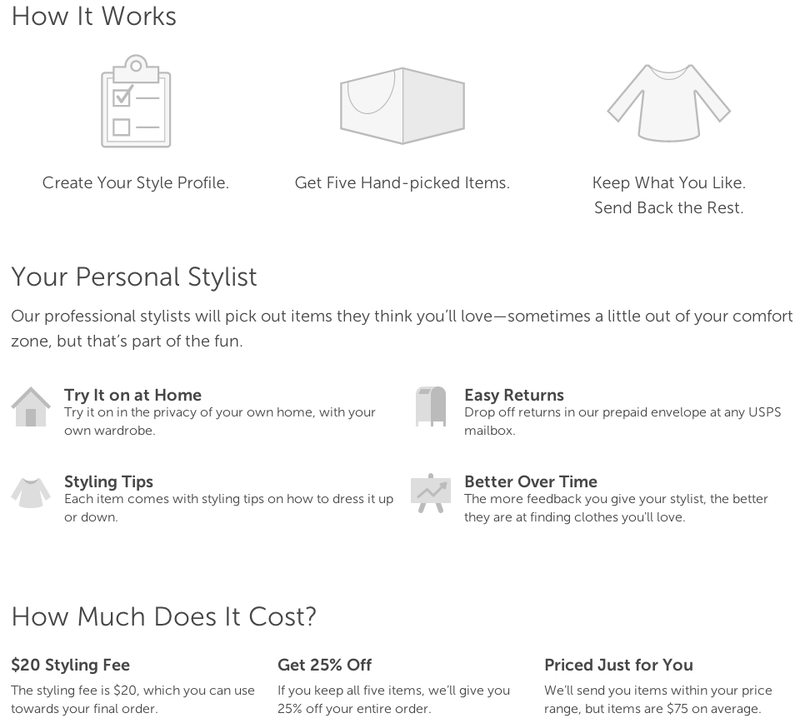 "Stitch Fix is a personal styling service that delivers a truly personalized Fix of accessibly priced items directly to doors across the United States. 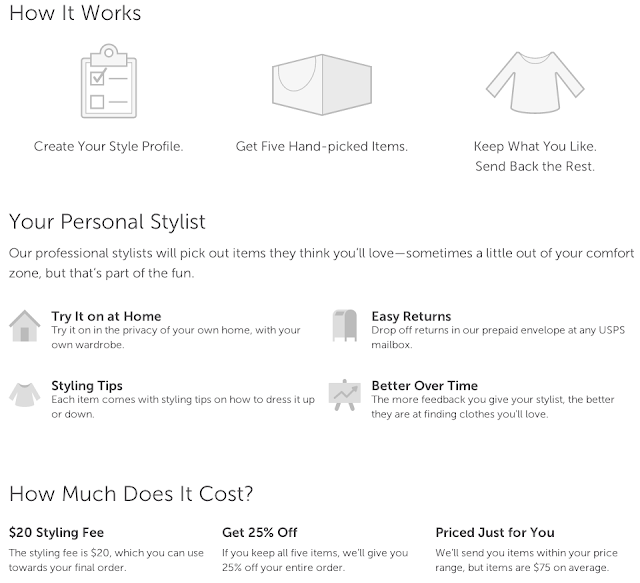 Stitch Fix hand picks pieces for each client, to ultimately help them look and feel their best." Here are the "style" options they show - how to pick? They're all awesome! Oooh! I have been wanting to do this for a while. I'm thinking it will be my reward for when I lose these last 10 pounds. I can't wait to see what you get! How often do you have to get a fix if you sign up? It seems like a great idea but not sure of the prices or how often I could afford it. Thanks!